India is an interesting land with enormous natural beauty and rich cultural heritage. This beautiful country is spread over an area of around 3, 287, 263 sq km and its geographical beauty is very diverse, where you can find sparkling sun-kissed beaches, mighty mountains, gushing rivers and a large number of flowing waterfalls. In fact, you will find a large number of beautiful waterfalls in India that are famous as tourist attractions which allure tourists from India and all around the world. Read on to this article to know more about the most important and scenic waterfalls in India! The Dhuandhar Falls tops the list of the most stunning waterfalls in India. As the name suggests, this fall sounds very much and is very beautiful to look at. The waterfall is located in the Jabalpur district of the state of Madhya Pradesh. It drawls its way through the popular marble rocks in Bhedaghat and is made by Narmada River. The height of the fall is 10 metres and forms a bounces the mass of mist that gives its name Dhuandhar with having two words ‘Dhuan (meaning smoke-mist)’ & ‘Dhar (to own)’. 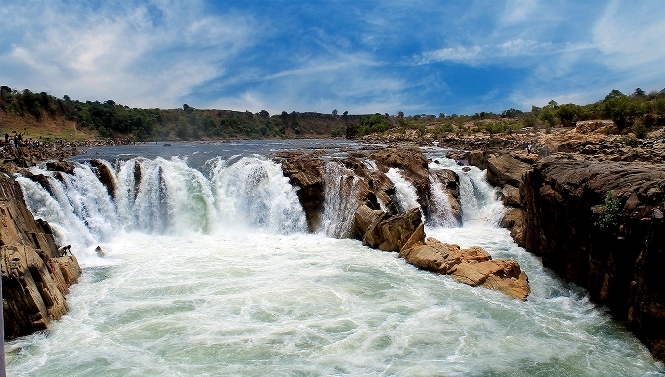 Dhuandhar falls attracts a huge number of visitors to Jabalpur city and makes a perfect place for excursion and picnic. Situated at the border in the high peaks of the Western Ghats, Dudhsagar waterfalls is a popular excursion place for tourists or visitors to Goa and Karnataka. This waterfall is located at a distance of 90 KM from the state capital, Panaji (of Goa state) and is famous for its captivating beauty. The stunning waterfall is made by the waters of Mandovi River. It has a height of about 310 metres. The word ‘Dudhsagar’ literally means ‘sea of milk’ in Konkani (local language). Therefore, the waterfall is called so because of its white milky look, which has been drawn amidst beautiful valley of tropical forest. 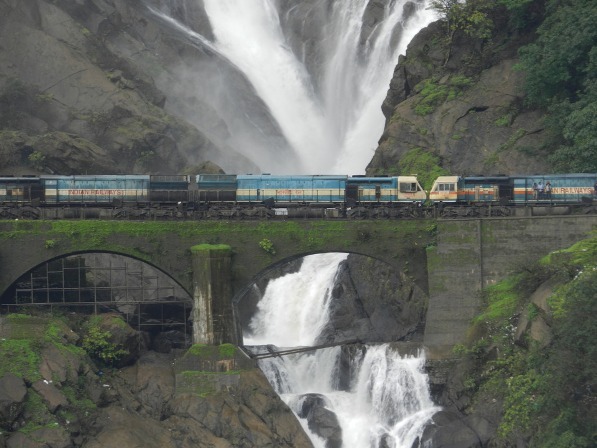 To add some interesting facts related to the beauty of these falls is that that many popular scenes of the Blockbuster film of Shah Rukh Khan, “Chennai Express” , were shot Dudhsagar Falls in the background. Falling from the height of around 829 feet, Jog Falls is listed as one of the most gorgeous waterfalls present in India. Because of its altitude and magnitude, the waterfall is known to be as the second highest waterfall in India. This fall is formed by the waters of River Sharavati and discharges around 3.4 million liters of water per second (that is about 40 percent over the regular flow at Niagara Falls). 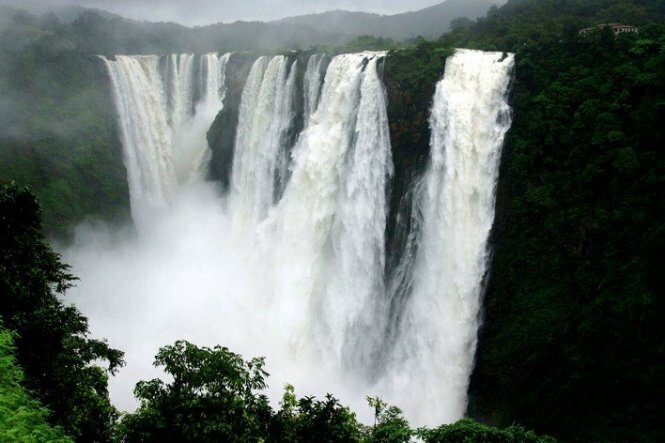 Jog falls distributes its water into four separate waterfalls namely, Raja, Rani, Rocket and Roarer. Bestowed with so many records, this stunning water fall is visited by a large number of tourists every year. Located amidst the hilly tracks in the state of Uttarakhand, Kempty falls attracts a large number of nature lovers due to its immense beauty. These falls are situated at just 15 KM from Mussoorie on the Chakrata Road, and 45 KM from Dehradun. This waterfall is enclosed by high mountain ranges and thus an ideal place for picnic or quiet place for couple to romance. 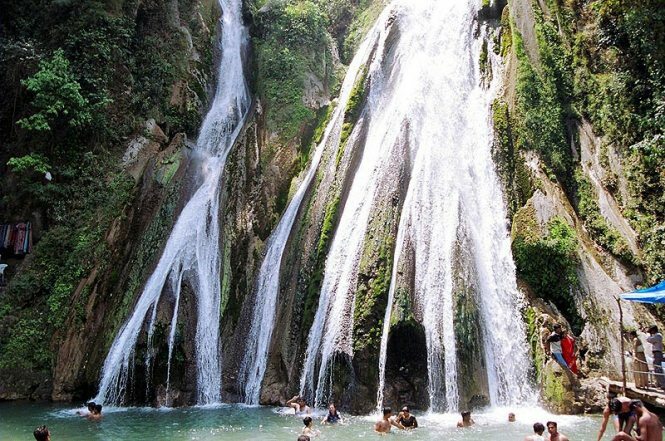 In fact, a visit to Kempty Falls must be included to Mussoorie itinerary of tourists.